I’m betting that many of us as children, started, or tried to start, an avocado tree from a pit. While this is a fun project, with this method you may very well get a tree but probably not fruit. Folks that definitely want fruit usually buy a grafted avocado sapling, but did you know growing avocado trees from cuttings is also possible? 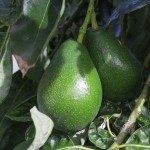 It’s true, the questions is, how to propagate a cutting from avocado trees? Avocados can be propagated by planting seeds, rooting avocado cuttings, layering and grafting. Avocados do not produce true to the seed. Avocado propagating by cuttings is a more certain method, as propagating a new tree from avocado tree cuttings results in a clone of the parent tree. Sure, you can go purchase an avocado sapling, but avocado propagating by cuttings is certainly less expensive and a fun gardening experience to boot. Keep in mind that rooting avocado cuttings will still require some patience. The resulting tree will likely not bear fruit for the first seven to eight years. The first step to propagating an avocado from cuttings is to take a cutting from an existing tree in early spring. Look for a new shoot with leaves that are not fully opened. Cut 5-6 inches from the tip of the stem on the diagonal. Remove the leaves from the bottom one-third of the stem. Scrape two opposing ¼- to ½-inch strips of skin off the base of the stem or make two small cuts on either side of cut area. This is called “wounding” and will increase the chances of rooting. Dip the wounded cutting in IBA (indole butyric acid) rooting hormone to stimulate root growth. Mix equal portions of peat moss and perlite in a small pot. Put the bottom one-third of the cutting into the potting soil and tamp the soil down around the base of the stem. Water the cutting. At this point, you can cover the pot, loosely, with a plastic bag to increase humidity. Or, just keep the cutting moist, watering only if the soil appears dry. Keep the cutting indoors in a warm area that receives indirect sun. In about two weeks, check the progress of your cutting. Tug it gently. If you feel a slight resistance, you have roots and are now growing an avocado tree from a cutting! Continue to monitor the seedling for three weeks and then transplant into a larger indoor pot or directly out into the garden if you live in USDA plant hardiness zone 4 or 5. Outdoor avocado trees should be planted in the sun, in well-draining soil with plenty of room for root spread. Fertilize indoor avocados every three weeks and outdoor trees every month for the first year. Thereafter, fertilize the tree four times a year and water only when the soil feels dry.